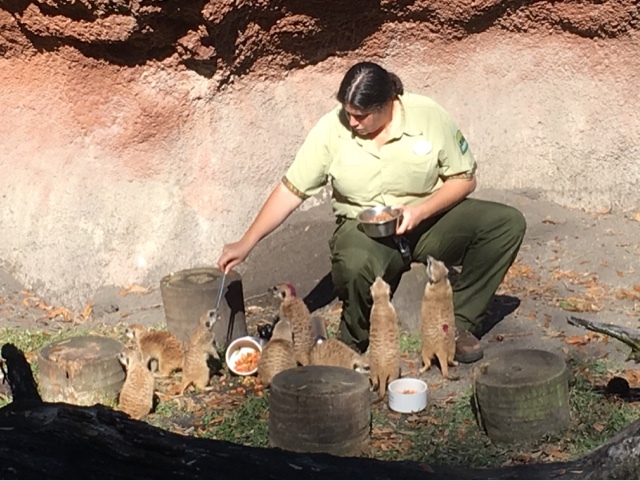 Although the gorillas are the stars of Pangani Forest Trail at Animal Kingdom, the meerkats are also fun to watch. I took this photo a few days ago, during feeding time. You can see that the trainer is feeding them with a long set of tongs. A cast member told me that meerkats can do serious damage to a human finger if it gets to close to their mouths.